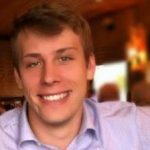 That’s a question Sydney, Australia-based medical device engineer Nic Adams will need to answer. Adams is the winner of the United Launch Alliance (ULA) “3-2-1 Liftoff! ULA Rocket Hardware Challenge” additive manufacturing contest. His design was selected from a pool of nearly 400 entries. 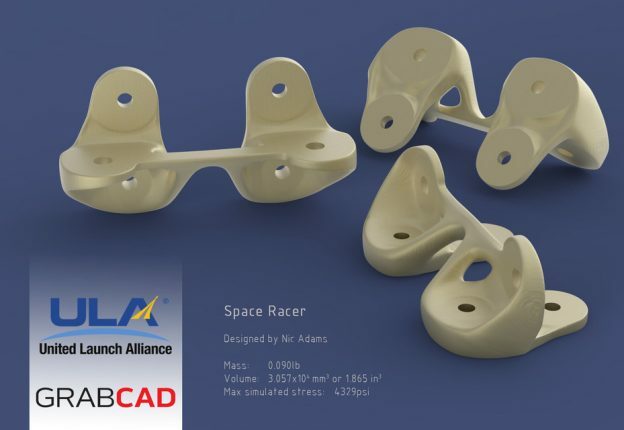 Hosted on GrabCAD.com, the Challenge invited participants to design a launch support attachment bracket for ULA’s current Atlas V rocket. ULA was so happy with the quality of the Challenge design submissions, that the company increased the prize money pool, with Adams receiving $10,000 (US), second place finisher Vishal Gandhele of India receiving $3,000 (US), and third place entrant Winston Jennings of Jamaica taking home $2,000 (US). A panel of experts, including ULA CEO and President Tory Bruno as well as engineers from ULA and Stratasys, judged the entries.